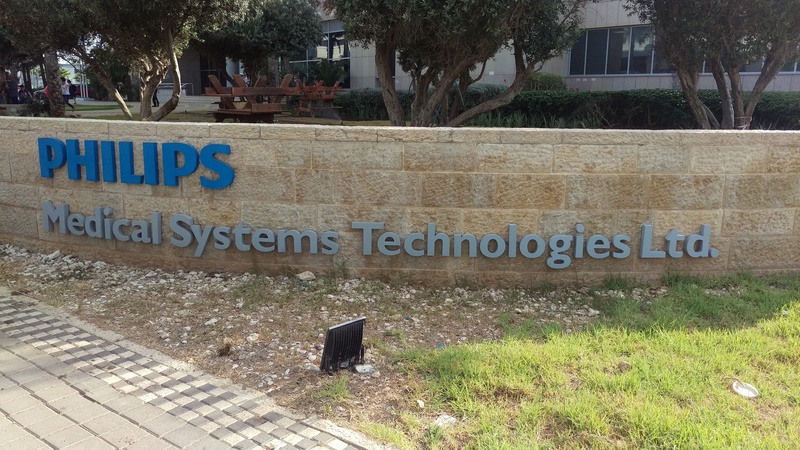 In July I spent three weeks in Haifa, Israel, for my internship at Philips Medical Systems and Technologies, an R&D center for computed tomography at MATAM Advanced Technology Center. MATAM is a high-tech and business park in the southern part of Haifa, very close to the sea, where many well-known Tech companies, such as Google, Apple, Microsoft, Intel and of course Philips have located their research and development work. I stayed in a room I had rented via Airbnb, which was only half an hour by bus from the office. During my internship, I learned a lot about Philips as a company, CT scanners, image reconstruction, different advanced R&D topics and many adjacent fields of work. Thanks to my supervisor Gilad, a physicist working in the field of image reconstruction, and his family I also became familiar with Israel, its culture and its way of life. To gain basic knowledge about Gilad’s work I first studied the book “Principles of Computerized Tomographic Imaging” by Avinash C. Kak and Malcolm Slaney. I learned about “Basic Recon”, the fundamentals of image reconstruction which, in short, means to recover an image of a cross section of the scanned body from the projection data obtained at many different angles by an x-ray source and detector system rotating around the patient’s body. For reconstructing images you have to know about line integrals of the attenuation of x-rays, the Fourier Slice Theorem and backprojection. Since there were some difficult equations, Gilad explained the necessary math to me and showed me how to derive those equations. When reconstructing the images from the data you also have to deal with image noise or artefacts reducing image quality considerably. To increase the amount of information processed in one single reconstruction step and therefore helping the doctor to give a more profound diagnosis, spectral CTs can be used. For this, the energy spectrum of the x-ray waves is divided into two sections, one at a higher and one at a lower energy level. The detectors also have to be changed and dual-layer detectors are used. When an x-ray wave reaches a “normal” detector, it first hits a scintillator which transforms the x-ray into visible light photons. These are then turned into an electrical signal. For a dual-layer detector there are, as the name already says, two layers of scintillators. They are made of different materials, where the first one only absorbs lower energy x-ray waves and the second one the ones with the higher energies. With this, different materials can be distinguished more easily from each other. A newer approach for even more processed information within one scan is the PC (photon counting) detector. Each photon that reaches the detector is counted and its energy range is simultaneously determined. During my three week long stay at Philips I experienced typical days in an R&D department and also gained insight into several different fields of activity. I had the opportunity to follow people’s work in image processing, machine learning, electrical engineering, system physics, detector physics, quality assurance, clinical applications and technological strategy. I had meetings with employees from all these different departments. For example, I talked to a computer scientist about image processing, looked at CT scanners and resulting images, and met up with managers to learn about their tasks. I also talked to clinical scientists who are the communication tool between customers and the research and development team for requests and problem minimization. Additionally, I met with electrical engineers and saw the testing lab, I learned from physicists, mainly working in R&D, and I joined a Design Quality Assurance Engineer. Furthermore, I got a tour through manufacturing, the integration area, the testing room where every CT scanner is tested before being shipped to the customer, the detection center and the testing area for trying out new methods. I also attended an AI seminar and a machine learning meet-up, where they presented a new way of finding similarities in images and applying this for creating animations, pictures with style transfer and image merging. Luckily, I was also able to do some sightseeing during my stay in Israel. 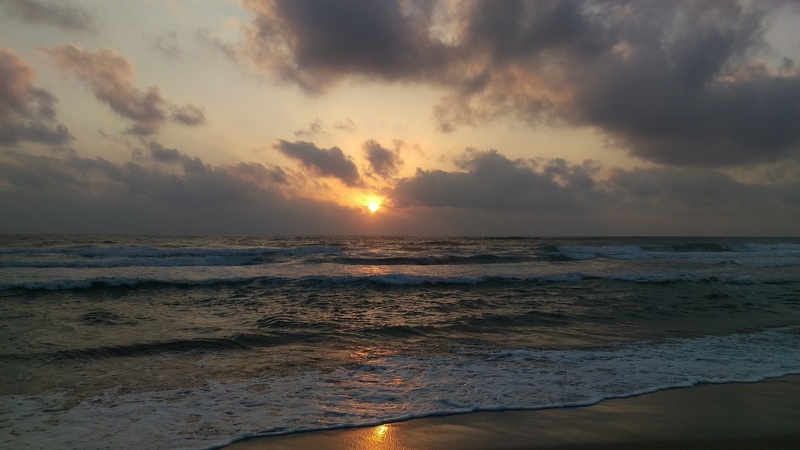 Since Haifa is located at the sea, I managed to go to the beach quite a few times after work and on weekends as well. I experienced Haifa at night, but also saw the nicest places during the day. Haifa is home to the famous Bahai Gardens and the Louis Promenade on the top of Mount Carmel offers a fantastic view of Haifa and the Mediterranean Sea. Gilad, my supervisor, introduced me to his family where I spent quite some time in the evenings and during the weekend. They invited me for dinner, showed me around Haifa, we watched the World Cup’s finals at their home and we went to visit their grand-parents, who are living close to Tel Aviv, for a family lunch. 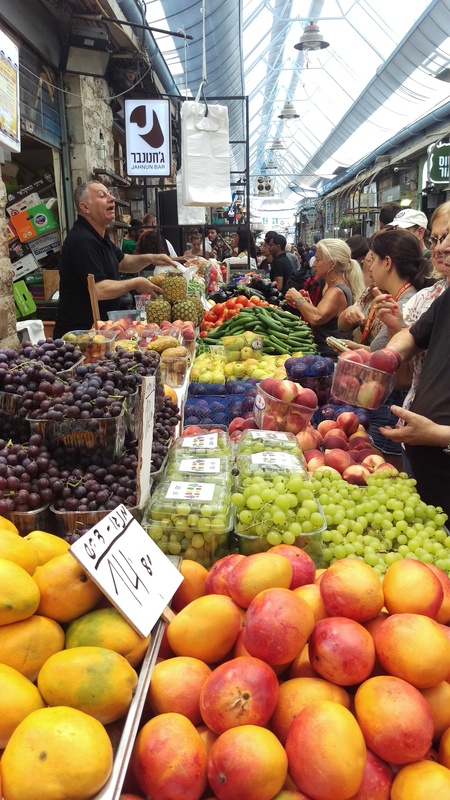 One weekend, Gilad took me and his family to Jerusalem, the city he grew up in and showed us some beautiful neighborhoods and a very lively market. After having finished my internship I had some days left to travel in Israel before I had to go back home. I first visited Jerusalem to see the Holocaust Museum and Memorial Yad Vashem, the Old Town of Jerusalem and the Machane Yehuda Market. Then I went to the Dead Sea and experienced an amazing bath at one of the beaches there. I walked up the Oasis of Ein Gedi and was surprised by the waterfalls in the middle of the desert and had a refreshing bath in the natural pools. Last but not least I stopped at Masada, the ruins of a fortress which was built on a plateau on top of a mountain and is overlooking the Dead Sea. My last stop was Tel Aviv. I went to see Jaffa, the White City and of course I also went to the beach. I want to thank Gilad, my supervisor, for giving me such a fantastic insight into Philips and top-level research areas as well as many other interesting fields of work. I also want to thank him for introducing me to his family and making me feel at home during my stay and for introducing me to Israeli culture and way of life.